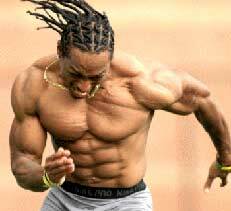 Introduction to Sprinters Workouts: Why Sprinting Shreds Fat Fast! If you’re someone who wants to get involved with the sport of sprinting, it’s going to be important to have a look at the various workouts that you should be doing. Sprinting is a sport that’s going to really come down to maximum development of speed and power, while also having good aerobic capacity to train at a higher intensity level without fatigue. Achieving these types of fitness qualities will take some hard work and the proper training strategies, but if you get these in place then there’s no reason you can’t see success on your program. Let’s take a quick look at what you need to know about this unique form of exercise. The very first thing that will be a must-have in your sprinters workout is high intensity interval training. Since when sprinting you will be performing at an all out pace, it only makes sense to have this type of training in your workout routine. High intensity interval training will do just that. With these sessions you’re going to alternate between very intense intervals where you go as hard as you possibly can for 20-30 seconds with active rest intervals where you slow to a walk for 1-2 minutes. Repeat this process six to ten times to complete the workout and over time you’ll notice an improved ability in your sprinting performance. Like all of the best cardio exercises, your average exercise heart rate is going to determine the overall workout intensity. The second type of workout that should be incorporated into your sprinting routine is the tempo run. With the tempo run you’re going to go at a pace that’s bringing you close to the lactate threshold, but one that you can still maintain for a longer period of time. These runs should be performed for around 20-30 minutes, at which point fatigue sets in and you have to stop. The idea behind these workouts is to train your body to work harder for a longer period of time while being resistant to fatigue. As you gain an approved ability to do so, you should begin to notice that you’re not struggling as much with fatigue during your sprints. 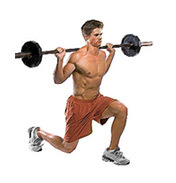 Finally, the last workout that must be added to the mix is lower body power weight training. This is very similar to a standard weight lifting workout program, only rather than maintaining a constant tempo throughout the lift, you should be focusing on performing the first portion of the exercise as fast as possible, while moving slowly through the second half. This is really going to work to enhance your overall power development better, therefore translating to you being able to sprint much faster as well. Make sure that you are aiming to lift heavy on these exercises however, as this is key for helping to maintain strength as you work on power. If you can incorporate all of these sprinters workouts into your overall program, you should definitely be able to see the results that you’re hoping for from your training and you’ll also see noticeable improvements in your sprinting performance.